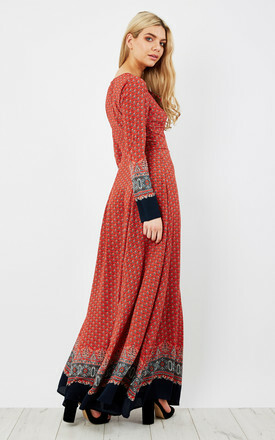 Red navy border print lace up maxi dress. Features long sleeves, lace up detail at the chest with flared semi-sheer maxi length skirt. As seen on Kate Middleton.